On 3 July 1979, Reims/Cessna F172N Skyhawk c/n F17201836 was registered PH-HMK in the Netherlands with Air Services Holland BV, Twello. On 8 January 1980, the PH-HMK was registered with L. Kriek, Wezep. On 27 February 1981, the 1979-built Reims/Cessna F172N Skyhawk was registered with J.H. Netjes, Lemelerveld. On 21 February 1984, the PH-HMK was registered with O. Hartman, Putten. On 10 April 1984, Reims/Cessna F172N Skyhawk PH-HMK was registered PH-HMK with Air Services Holland BV, Hilversum. On 10 May 1984, the Skyhawk PH-HMK was transferred to Air Services Holland BV, Teuge. On 22 February 1985, the Reims/Cessna Skyhawk N was registered with Air Service Limburg BV, Beek. On 3 September 1997, Van Goor BV, Veeningen, was registered as owner. On 16 November 1999, Chagall Veeningen BV, Veeningen, was registered as owner. After the CofA expired on 5 October 2009, the registration PH-HMK was cancelled on 25 November 2009. 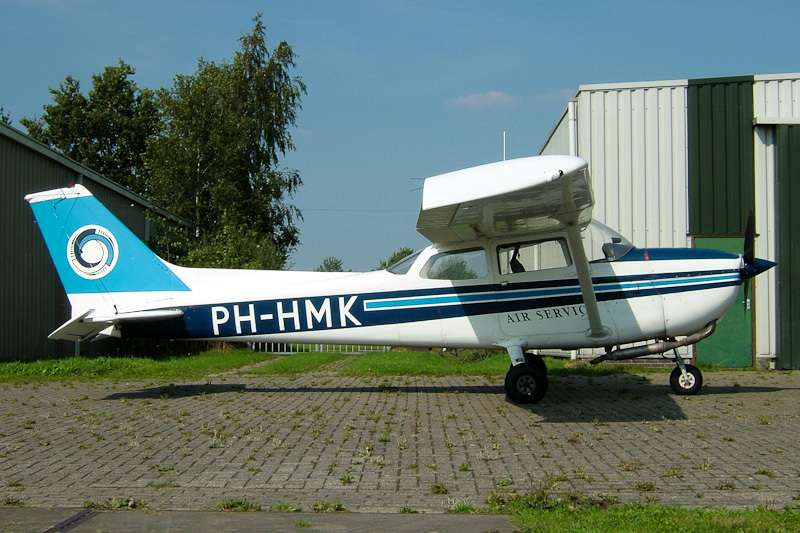 Despite, a new CofA for the aircraft was requested by M. Westenburg, Amstelveen, on 18 March 2010, the Reims/Cessna F172N Skyhawk was not restored to the Dutch aviation register. The Reims/Cessna F172N Skyhawk was registered YU-DON and is operated today as LZ-SPP. On 2 September 2004, when photographed at Hoogeveen, the PH-HMK was still in the Air Service Limburg colours.